annie4400 | The greatest WordPress.com site in all the land! wasn´t this a great episode! Steve got a new big friend 😀 But it sure was a rocky start. As it often happens, solving problems and earning mutual respect, will make good friends. Here are the mix matched gifs that caught my eye on this first watch. Eek! Yes! Steve got hurt and bloody. Me likey! Major mahalo to Forever Alone Tumblr for the find. Not sure of the actual photographer or the date taken, can’t find the actual credit for them but when I do I’ll update the post. 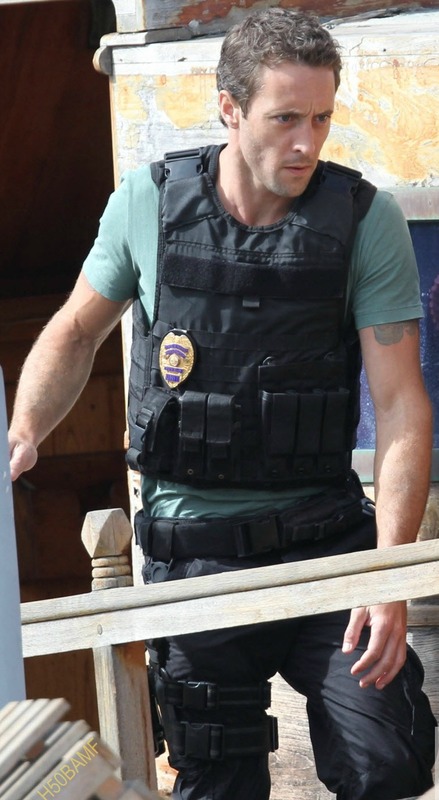 Thanks to @alexynay of Alex O’Loughlin Journal and @HeyD50 for the heads up on these. Not a bad way to wake up on a Friday morning! So much velcro, so little time…. Perfect shot. Leg holster, hands, arms, gun, boots and tatt. Guh!